All talk that Hamas and Hezbollah are condemned by the EU as "terrorist" organizations is fake, as one penetrates the matter and sees from where derived the impetus for these "European" decisions. They are always not the result of conclusions drawn volontary by the EU after their own incitament, but something that is the end-result of a long process of systematic lobbying by Jewish Israel-affiliated organizations based in Europe. If it hadn't been for the labour of these Jewish organizations, these decisions by the EU would never have beeen introduced. For instance the Swedish foreign minister Carl Bildt, (for a country which in 2009 presides over the EU), has himself earlier publicly declared that there must be a political dialogue with Hamas in Gaza - but that was before the now-succesful Jewish campaign to isolate Hamas. 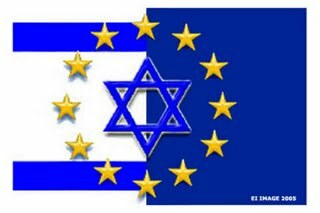 After the Gaza massacre 2008-2009 the Jewish infiltrated governments of France (Jews Sarkozy, Kouchner) and Britain (Jews Miliband, I. Lewis, Sir Cohen) are implementing a EU decision to aid in the Israeli blockade of Gaza. 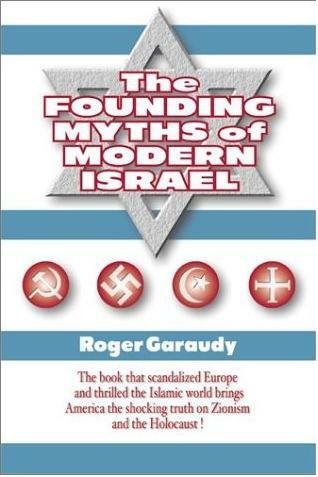 On the so-called "European" initiatives regarding Israel and Gaza 2009. 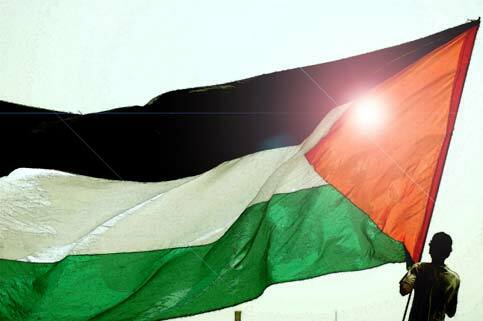 "EU" to send warships to aid in the blockade of Gaza! From EUObserver.com. 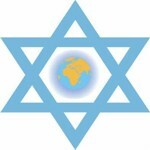 Note that this article was also reproduced on the homepage of the European Jewish Congress (EJC). On how (Jew-run) EU countries pledge to help Israel's blockade. 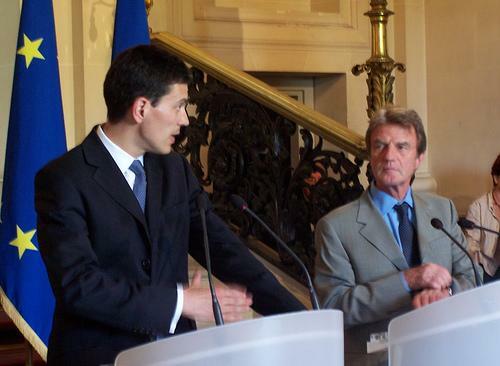 "British" foreign minister Miliband speaks to the "French"
foreign minister Kouchner - and both are Jewish! 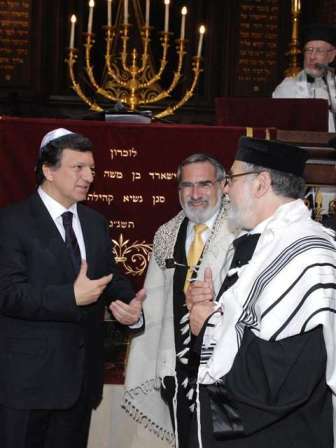 European Commission Chairman José Manuel Barroso, Chief Rabbi of Great Britain and the Commonwealth, Sir Jonathan Sacks and Brussels' Great Rabbi Albert Guigui. June, 2008. Editorial in the Jerusalem Post. The upgrade includes "an examination of possible Israeli integration into the European single market". "The upgrade is also welcome for the economic fruits it promises to bring to an already robust partnership" as "the EU is Israel's major partner". By Brian Whitaker, The Guardian. The EU bans trading with 'illegal' Jewish settlements, but accepts their goods under Israeli guise. Meet Israel’s European friends - Who are the fools that reward Israel’s criminal behaviour? 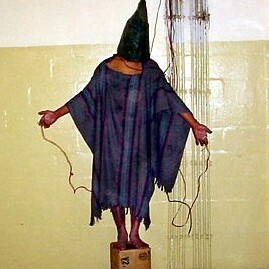 "than Israel began to cheat. 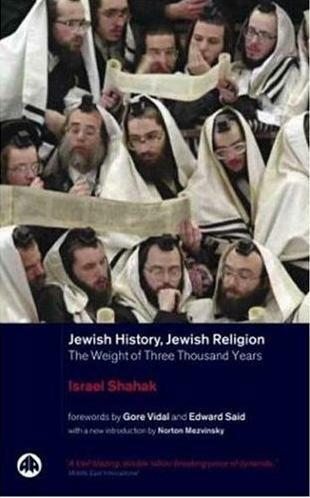 To imagine that this was due to a few bent officials in the customs department would be a mistake: cheating was built into the system and it was carried out with the blessing of the Israeli government ... In 1997, as a result of complaints, the European commission sent a delegation to Israel to find out why Brazilian orange juice arriving in Europe had been certified as Israeli in order to qualify for preferential rates. The problem, the delegation concluded, went way beyond orange juice: Israeli customs officials simply could not be trusted. The problem was so serious, their report said, that 'the validity of ALL preferential certificates issued by Israel, for ALL products,' was in doubt." 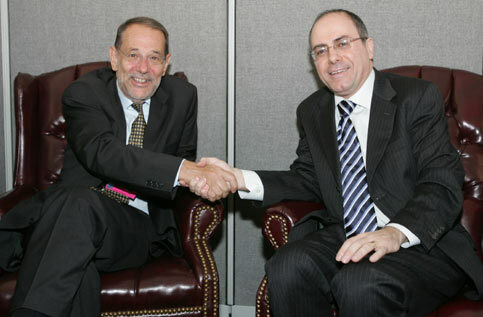 EU's Javier Solana with Israel's foreign minister Silvan Shalom.